The Vaqueros got together in 1961. Singer and guitar player Gary Miller from Spearfish, a Black Hills State Teachers College student (now well-known nationally as comedian and singer Gary Mule Deer, since 1970), put together the rock and roll band. They took the name Vaqueros from the hit song Vaquero by the Fireballs. 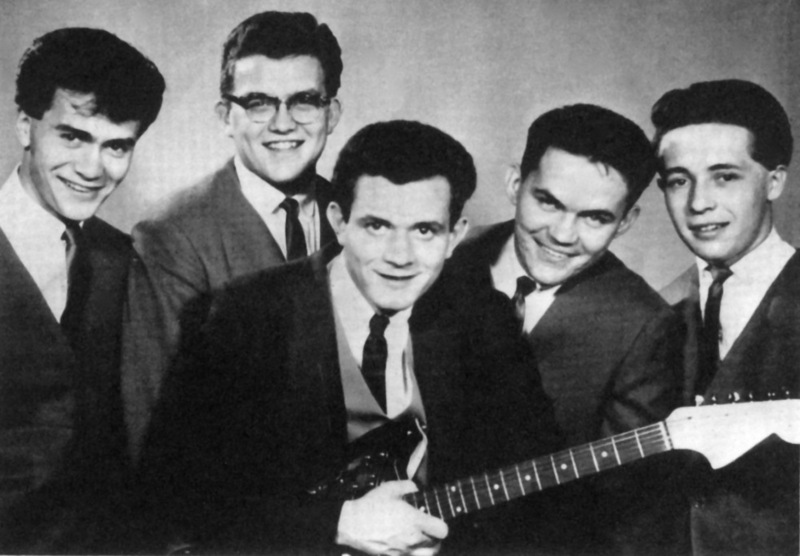 The earliest members came out of the group Larry Bell and the Continentals. They were bass player Doug Erickson, Jimmy Anshutz on guitar, and drummer Jackie Robinson. Jimmy and Jackie were soon replaced with Duane Stoller, a Nashville steel guitar and bass player who, just out of the Air Force, came to Spearfish to attend Black Hills State Teachers College (after Vaqueros, Duane became a member of Buddy Merideth and the Dakota Cowboys) and Forrie (Forest) Houlette of Deadwood, one of the best drummers ever to come out of the Black Hills. Denny Fredrickson from Lead, SD, a great guitar player who was influenced by Chet Atkins, James Burton and Howard Roberts joined the group, along with Laurie Zapf of Spearfish, who had been first chair saxophone player in the high school All-State Band. The Vaqueros played at the Franklin Hotel Gold Bar and the Old Style in Deadwood, the Lead Pavilion, Docs Place in Newcastle, WY, community halls in western SD and eastern WY, dances at Black Hills State Teacher College (now BHSU), The Wagon Wheel in Spearfish, Angelo's Supper Club in Rapid City and the Rapid City Auditorium. They opened for the Champs, The Ventured, Buddy Holly's Crickets, and Gary U.S. Bonds at the Spearfish Pavilion. The Vaqueros had an original song, "Whitewash", that was a hit at their concerts. Ralph Canary of KDSJ Radio in Deadwood brought the group in to the station to record "Whitewash", and the popular Mint Julep, on studio tape... but unfortunately they were never pressed to vinyl. Some of Gary Mule Deer's best memories are of getting up and singing "Summertime Blues" and "Mule Skinner Blues" with The Ventures, The Crickets, and Jerry Lee Lewis when they were in town. He also sang "Mule Skinner Blues" with Myron Lee and the Caddies whenever they played the Spearfish Pavilion. Denny Fredrickson continues to play guitar with several Black Hills duos and trios, and is better then ever. Gary Mule Deer has gone onto appear often on both The Tonight Show and David Letterman, the Grand Ole Opry, and major theaters across the country, including Carnegie Hall in January of 2009. Now scattered across the country, all of The Vaqueros agree that their time playing together was one of the best times of their lives. They are all very honored to be recognized in South Dakota's own Rock and Roll Association Hall of Fame.